Learning through mobile devices meets the demands of an increasingly global, mobile, and tech-savvy workforce. Mobile learning is well on its way to becoming the future of workplace learning. Are you geared up to take advantage of the technology to deliver training through mobile learning to your employees? 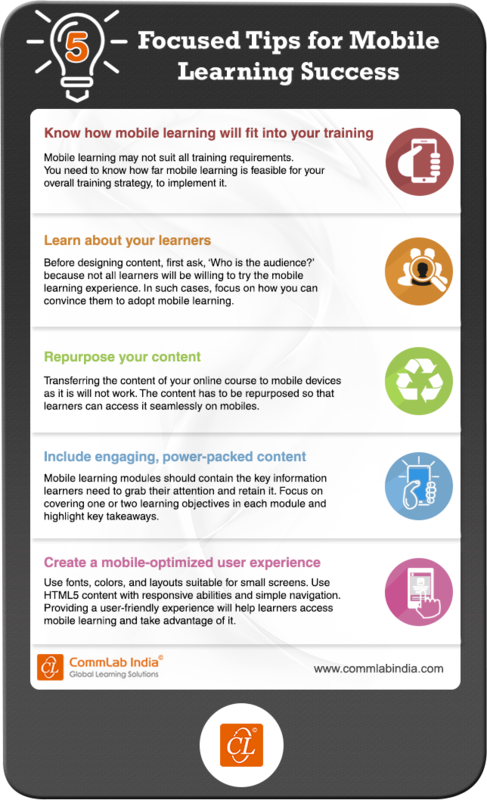 If yes, check out our infographic for tips on devising a successful mobile learning strategy.